June 15, 2016 / LBD "Nytetrayn"
A year ago, Microsoft Studios debuted a trailer for a game called ReCore at the Electronic Entertainment Expo. A collaboration between former Mega Man producer Keiji Inafune and the former Metroid Prime developers who formed Armature Studio, the trailer seemed to show signs of the former lives of both. In Inafune's case, a world of adaptable robot beings able to take on new abilities from other fallen robots seemed to be his hallmark. Since then, Inafune had not been able to reveal much about the game, though he did later indicate that the unfinished Mega Man Legends 3 might have some bearing on the project, perhaps in a spiritual or even subconscious way. Well, if nothing else, that dash ability looks like it was lifted straight out of a Mega Man X game. And while that may not be enough (rightly so), it would seem to be less of a coincidence than one might think, as GameSpot touts the title as potentially being "the Mega Man successor that you've been looking for." Combat in Recore felt fast-paced and intense. There's an ebb-and-flow between using movement abilities to avoid damage, and picking the right weapons to dish it out. However, like Mega Man, the game will often push players into rooms that mix platforming and combat. It sounds overwhelming, but in the moment we were reminded of Mega Man, and how it would often require players to leap around different platforms, firing off blaster shots at enemies on the other side of the screen while dodging incoming attacks. In addition, the use of color-coordinated firepower to do additional damage to foes of corresponding hues seems to hark back to the Paper-Rock-Scissors mechanic the Mega Man franchise has been so well known for. For the full impressions, visit GameSpot's preview and find out more for yourself. Explore a beautifully rendered and unique world as Joule Adams, one of the last remaining humans on the planet, Far Eden. Find new dungeons, enemies and treasure in a region known as the Shifting Sands, where massive sandstorms come and go, altering the height of the terrain. 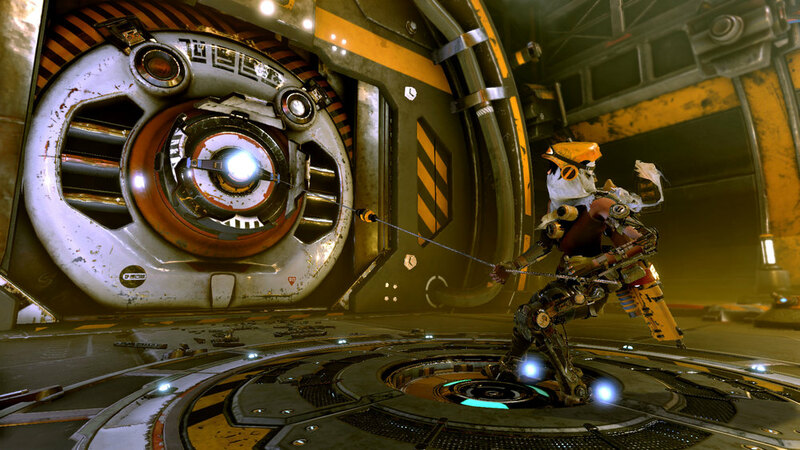 ReCore’s mechanical buddies are the signature element that really sets this action-platformer apart in the crowded sci-fi landscape. Mack is a dog-like robot dubbed “the explorer,” who can dash through environments – and enemies – with speed and agility. Seth is a spider-like “escape artist” who can help main character Joule reach distant walls and ledges. And Duncan is the “heavy hitter” whose gorilla-like attacks make short work of enemies. A separate Xbox Wire article notes that the game will arrive on both Xbox One and PC (you'll get both when purchased digitally) on September 13th, 2016 in North America, Latin America, and Asia Pacific (except Japan), September 15th in Japan, and September 16th in Europe and other global regions at a price of $39.99 USD / £29.99 / €39.99, though they are also collaborating with TriForce on a Limited Collector's Edition for $179.99 USD, which will include a 14-inch statue of Joule and Mack. What's more, those who pre-order the game will also receive a copy of Banjo-Kazooie: Nuts & Bolts for the Xbox 360, which is also playable on Xbox One through backwards compatibility. Regarding the lower-than-usual price, Armature Studio producer Mark Pacini told USgamer that the move was a deliberate one by Microsoft to create a new type of appeal. "One of the things we're trying to do is reach a broad audience," he said. "I think that, coupled with the Xbox Anywhere initiative, the price is a great way to get it into more people's hands. We feel that it's a great value." USgamer goes on to note that this is similar to an initiative taken on by Sony in the early days of the PlayStation, when they would offer a lower price for titles that were more unconventional or lighter on content (with Parappa the Rapper and Bushido Blade named as examples). While ReCore could potentially fit the unconventional label, brevity did indeed play a part in the decision as well. "I'm horrible at game-hour estimates," Pacini told USgamer. "Metroid Prime I thought was an eight-hour game and it took people 23! 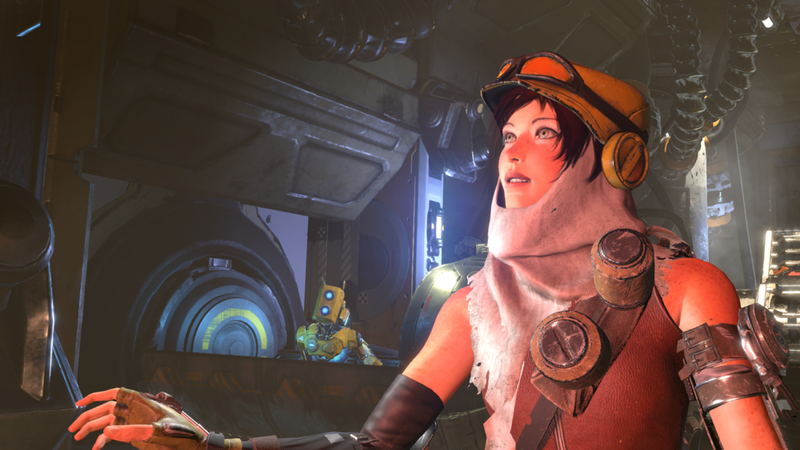 — but I think right now I'm thinking [ReCore] is eight-to-12 hours. But there are a lot of things to find and collect that can extend the play time." I'll be keeping an eye on this one going forward (it was one of my "Top 5 Moments from Microsoft's E3 2016 Briefing," after all), but how about you? Are you any more interested in where this game is going than you were a year ago? Share your thoughts in the comments! Oh, and if you've noticed anything else from E3 that might qualify as "Mega Man-esque," feel free to send a tip my way and I'll check it out! Edit: Tweaked a few details I forgot to include the first time around, including pricing and releases in other regions, as well as the setting.